Monster, the world leader in high-performance personal audio, announced that its highly anticipated Elements Over-Ear wireless headphone is available today for purchase at http://www.monsterproducts.com. Destined to redefine the wireless headphone category, Monster® Elements are already being embraced by top DJs, celebrities and athletes, who appreciate their uncanny ability to immerse listeners in a world of sound with exceptional comfort and isolation. Elements headphones offer three options for premium listening modes: wireless, wired analog, and via a direct full-digital input, which leverages the Elements’ high-quality D/A Converter, for most Android devices now, and makes Monster Elements ready for future devices that may have only digital outputs. In addition to outstanding audio quality, the high-fashion Elements allow wearers to proclaim their discriminating taste and bold lifestyle. Their sleek lines and luxurious finishes are presented in a pallet of designs inspired by the natural elements that exude confidence and style. 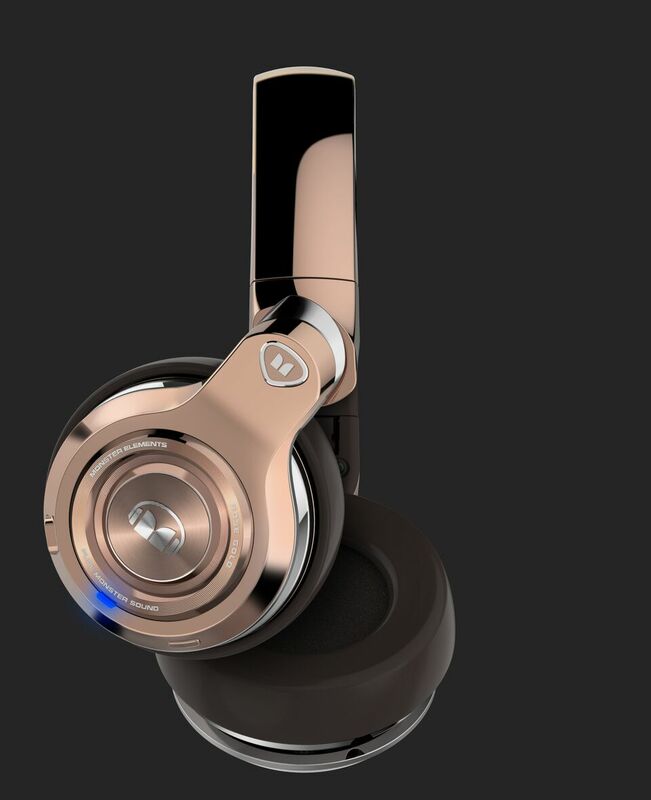 The first Elements headphones are being offered in Monster Rose Gold with additional colors to be available later this year. Monster Elements Over-Ear headphones carry a suggested retail price of $379.95. Upcoming models in the Elements family will include a smaller, more lightweight On-Ear model, as well as a low-profile, slim and fashionable In-Ear headphone. Cutting-edge on-ear swipe controls let you easily control play/pause, tracking and volume with a brush of your fingers. Enhanced style and comfort features also include DJ-style swiveling ear cups on both sides, a folding design and super plush memory foam cushions. Thanks to advanced Bluetooth 4.0 with aptX, and custom tuned by Monster, Elements headphones reliably deliver the powerful listening experience of Pure Monster Sound™ wirelessly—with tight and deep bass and powerful dynamics for the ultimate in emotional impact. In addition, the expert sound-smiths at Monster have created two custom sound profiles to choose from, “Natural” and “Club,” so you can adjust your music-listening sessions to personal preferences and moods. Also great for calls, Elements’ feature built-in high intelligibility microphones and Active Echo Suppression to ensure crystal clear communication. The Elements headphones have tremendous battery stamina, offering around the clock 24 hours of playing time and weeks of standby power. Monster includes a stylish zipper travel case, for convenient storage of the headphone plus the included 1/8 “ stereo analog cable, ¼ “ DJ adaptor, Direct Digital audio cable (usb micro to usb micro),PC adaptor and cleaning cloth. Monster will launch its “Be In Your Element” campaign which will feature inspiring individuals that are not afraid to break from the norm and proclaim their discriminating taste and bold lifestyle. For the past 35 years, Monster® has been a catalyst for innovation and big ideas. Discovering that cables in hi-fi systems influenced the sound, Head Monster Noel Lee developed Monster Cable - an immediate hit. Monster® engineered the sound of Beats® headphones, and has since become the world’s leading manufacturer of high-performance headphones, all featuring Pure Monster Sound™ technology. Today, the company offers advanced connectivity solutions for professional musicians, home entertainment, computing, mobile and gaming, as well as high performance AC Power and conditioning products. Monster® continues to lead in innovation with Monster having been granted over 500 Patents and 100 patents pending worldwide, offering more than 5,000 products in over 160 countries. Monster® also prides itself in helping those who are in less-than-fortunate circumstances through Monster Cares. Above all, Monster® does what it does Because the Music Matters. 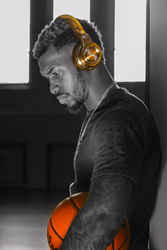 Explore the world of Monster at http://www.monsterproducts.com. To become a fan of Monster® products, please follow us on Facebook (http://www.facebook.com/monsterproducts) or Twitter (http://www.twitter.com/monsterproducts).